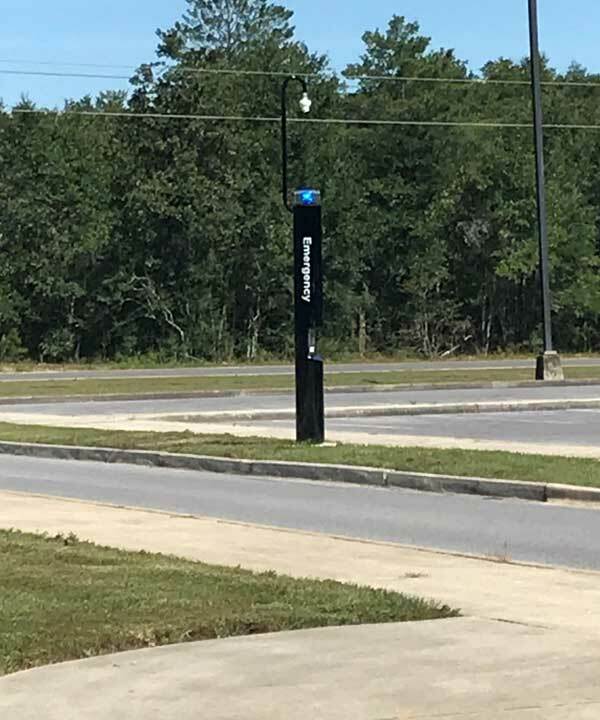 The campus directors at Emerald Coast Technical College wanted to provide an effective method for members of their faculty and students to summon emergency assistance in parking areas. These areas present safety concerns - especially after dark. The school schedules classes both during the day and at night. And without the ability to alert anyone to a need of assistance in the event of an emergency, parking areas often present a dangerous environment. We had some logistical challenges during our navigation process. 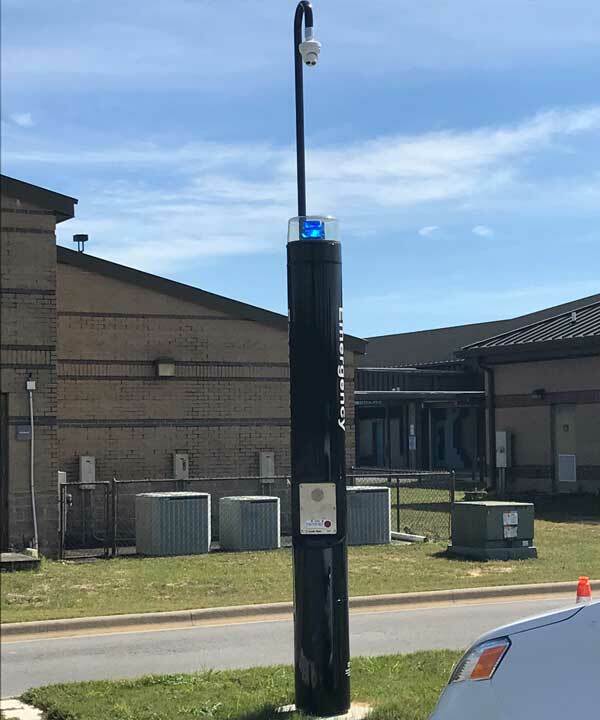 We needed to create a network of conduit wiring that would run underneath the north and south parking lots and back to the main buildings for each of the Code Blue Emergency Beacons. But it was not easy. We needed these pathways to provide power and data to the pedestals. Unfortunately, rain delays and complications with the construction caused our projected timelines to fall behind. The systems experts at Ivanco, Inc., met with the client to assess the scale of the project. First, we outlined the most efficient, cost-effective, and logical solutions to the issue of parking lot safety. Second, we addressed the need to provide distress signaling. Then, based on our consultation and our findings, our team created a plan to install a network of Code Blue Emergency Beacons . 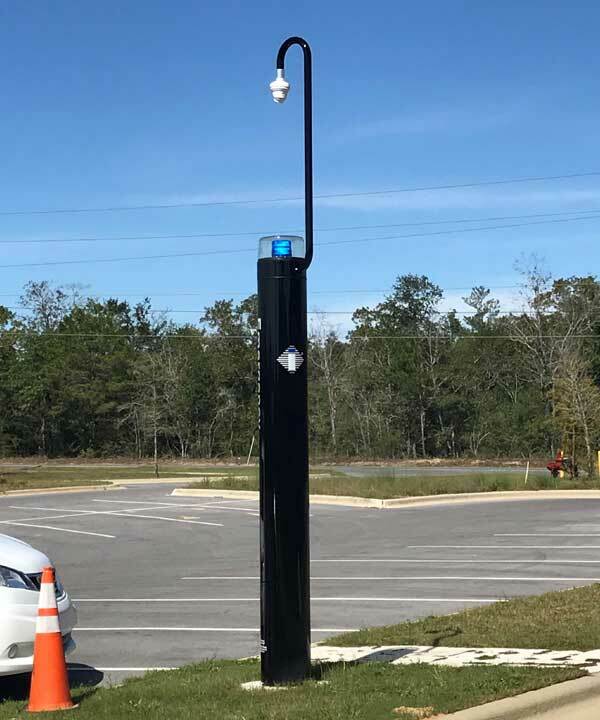 We planned to mount cameras, and we determined that the two large parking lots on the north and south sides of campus would each be equipped with two beacons. Copper wiring is prone to causing power surges and is highly attractive to lightning. For that reason, we determined that it would be necessary to run fiber optic cables underground as an alternative. Next, we would connect them to copper conversions at the pedestals of the beacon stations. This would minimize the risk of damage to the system and improve the installation process as well as increase system function. 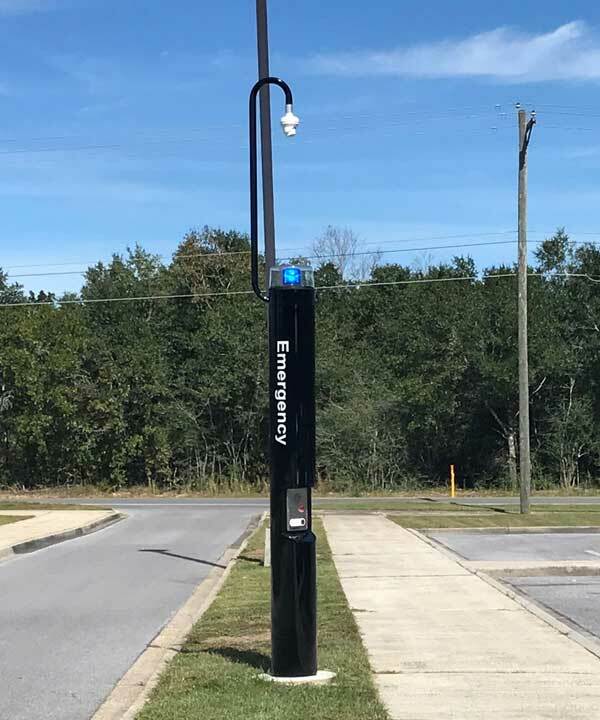 The Code Blue Emergency Beacons have created a safer campus. We enhanced surveillance capability of the parking areas through the integration of an alert function. This function is tied to campus-owned smartphones that provide immediate notification when movement is detected on cameras. Get more educated on how creating a safer environment can increase the success of your business! Call the team of skilled security system experts at Ivanco, Inc., to learn more about how the ways our security solutions can be specially customized to suit your business needs today!